A quick background on how I discovered The Body Shop Brightening Serum and bought it, I picked up The Body Shop British Rose Shower Gel - sometime in June-July and the SA slipped in a sample of this in the bag. I was testing the Kama Ayurveda Kumkumadi serum as night oil at the time. I tested this serum the next morning and my skin was instantly clarified and radiant. And I could not understand why. 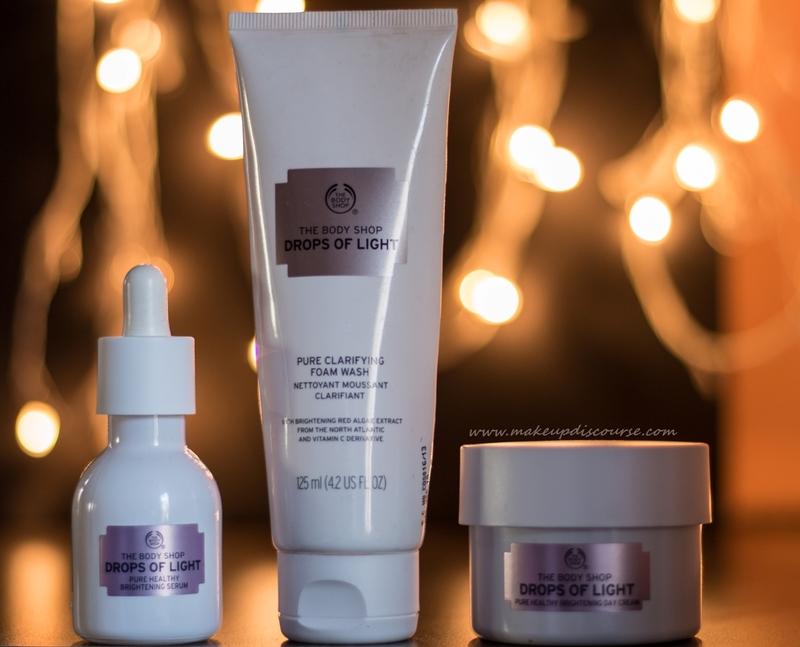 And I was taken by the hydration level of my skin and hence I decided to purchase the range. But I did not achieve the same clarified result with the full sized product. Fishy! My skin at the time was not really in a preferred condition. Inflammatory acne due to the weather change and my rosacea had poked its head up and my skin was drier than usual. I have used the range for a few weeks- two to be precise and stopped using the Pure Healthy Brightening Day Cream due to acne breakouts. I find it unnecessary to spend on some clarifying cleanser that is nothing more than an ordinary foaming face wash. I had to put this range to test and hence I bought it without much thought. 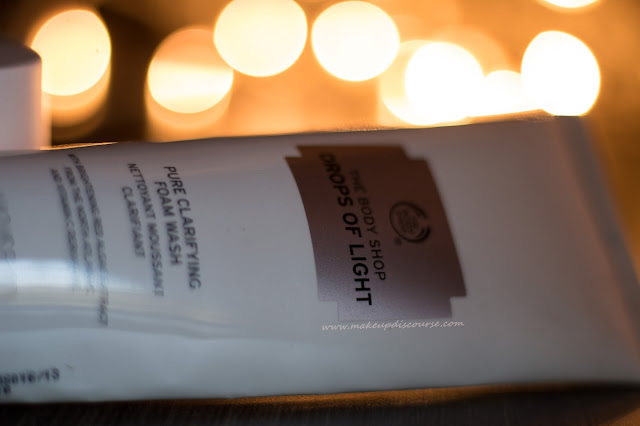 The clarifying Foam wash has a pearl sheen to it and foams more than an average cleanser. I find this works well with my Michael Todd Sonic Brush as well as working with hands; I tend to use a lot with the brush in compared to using it with my hands. It has extremely micro-particles, the kind you’ll only feel when you’re sensitive. I assume the creamy yet soft gritty texture is due to clay in it. I am sure the exfoliation is as micro as possible, great for sensitive skin. Indeed clarified and non-drying results are achieved after rinsing off. At first, I disliked the overall working of the product including the texture and results. I am used to liking squeaky clean skin but I am noticing a radical change in my preference; Squeaky clean = Stripping of beneficial natural oils. This does leave a slight veil of creaminess except for the areas around my mouth. I find it a balance of clay and creaminess that should work for both oily and dry skin. The Body Shop Drops of Light Pure Healthy Brightening Day Cream broke me out so it was wiser to eliminate it from my daily routine. I did continue using the Serum and Face wash together and my review is entirely based on this combination. I did notice radiance after using the Foam Wash but that did not last any long. With the continued usage of the Foam Wash and serum daily, I did notice a difference in my skin tone alone. It did fail to work on my hyperpigmentation, texture and old scars. But I did skip exfoliation or restricted only once a week. I find it unnecessary to use the Clarifying cleanser on its own. It does not strip natural oils from the skin and leaves a healthy satin veil of moisture on the skin. 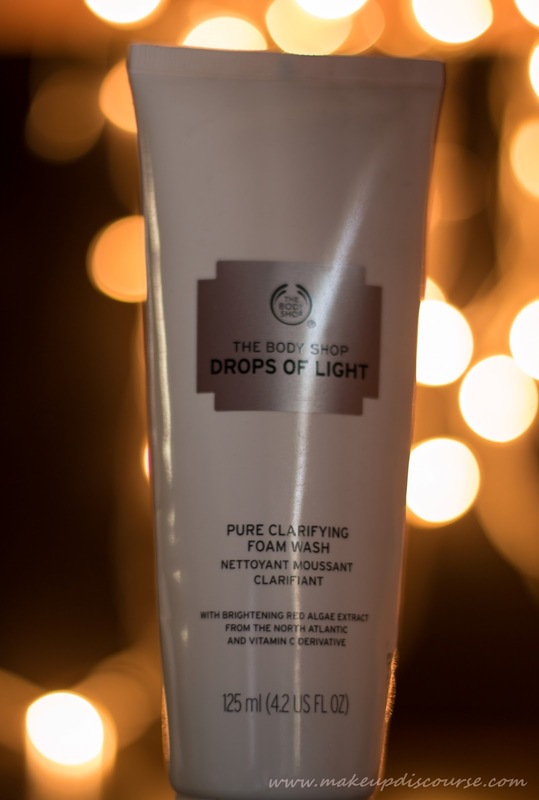 I am assuming that it boost the radiance when used with the products from the same range. At times, I did keep the lather on for few minutes to notice if it works on removing suntan, sadly it didn’t but instead left my sensitive skin feeling raw after rinsing. MicroExfoliation, as I noticed. To put down in one sentence, it is insignificant on its own, unless If you’re planning to include the DOL Range in your routine. On its own, it is just another cleanser. I’d rather invest in a cleanser that doubles as makeup remover and cleanser at once.